Keenan Cornelius waited until three days before the cutoff, but has confirmed his participation at the World Jiu-Jitsu IBJJF Championship 2018. We were waiting until now to see which division Keenan would decide to compete in – given that he did Euros as a heavyweight but moved up to super for Pans. We have our answer: Keenan will compete in the heavyweight division. Right now there are 20 competitors in total signed up for the heavyweight division, and it is lining up to be ridiculously stacked. First off, there’s Felipe Pena to contend with, one of the top pound-for-pound grapplers (gi or no-gi) in the world. 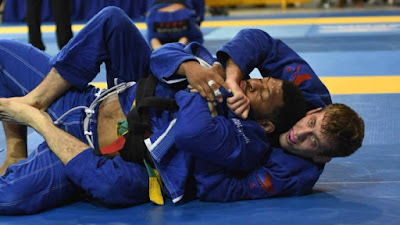 Pena comes off a hot streak where he won major events such as the UAEJJF Abu Dhabi World Pro, Marianas Open and more. A quick scan through the list turns up an absolute ton of talent: Tim Spriggs, Jackson Sousa, Adam Wardzinski, Dimitrius Souza, Tarsis Humphreys, Patrick Gaudio, Tex Johnson and Fellipe Andrew to name but a few.